After the devastating May 22, 2011 Joplin, MO tornado which killed 116 persons, RemagenSafeRooms was contracted by the U. S. Army Corps of Engineers to fast-track the delivery of seven FEMA-compliant classroom/tornado safe rooms to shelter nearly 800 students at Duquesne Elementary School and Franklin Tech, two of the several K-12 schools which had been destroyed by the tornado. 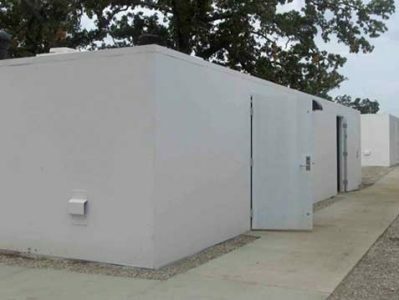 RemagenSafeRooms immediately sent foundation plans and details for one of its standard model, standalone community safe rooms to USACE and began loading pallets with standard, off-the -shelf components for the seven community safe rooms. 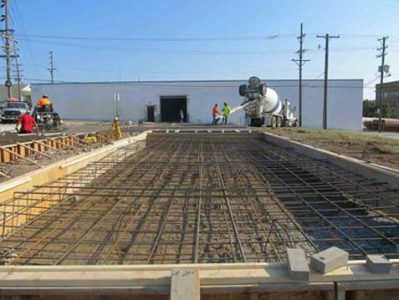 The U.S. Army Corps of Engineers contractor formed and reinforced foundation slabs in accordance with RemagenSafeRooms foundation drawings for the safe room. 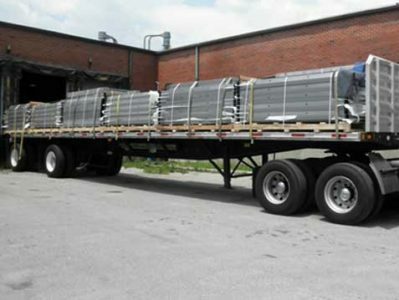 Safe room components are loaded at the plant for shipment to Joplin. 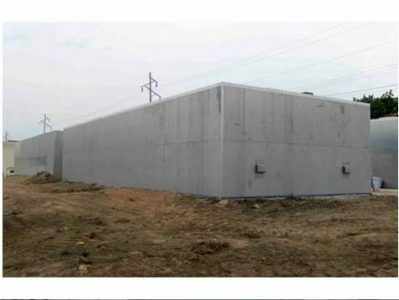 Prefabricated frames and panels of the safe room system were quickly erected and anchored by USACE contractors using Remagen’s illustrated Assembly Instructions. 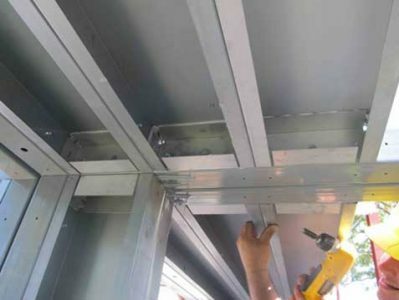 Modular wall and roof panels were easily assembled with structural adhesive and steel screw fasteners, both of which were included with the shelters. High velocity impact shield was bonded and screwed to exterior surfaces. Wrap-around steel door frames, tornado doors, and door hardware were then installed. 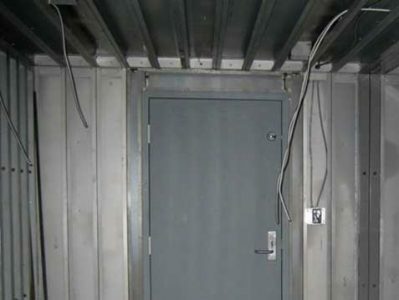 Electrical conduit, and switch and fixture boxes were installed in safe room wall and roof cavities before gypsum drywall was applied to the interior. 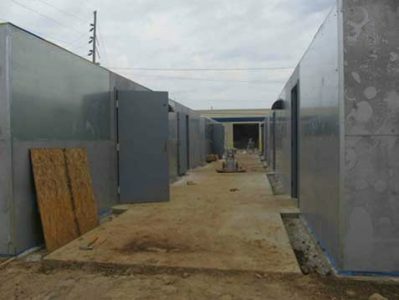 After installing vent protective cowlings and grading the site for drainage, the assembled classroom safe rooms were ready for sealing and painting. 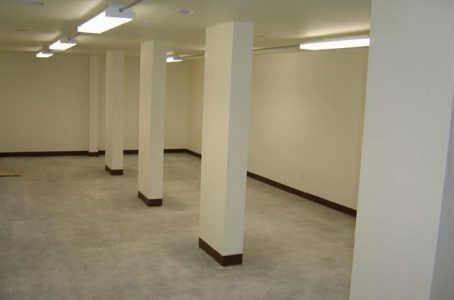 Before school opened, all classroom/tornado safe rooms were ready for occupancy. 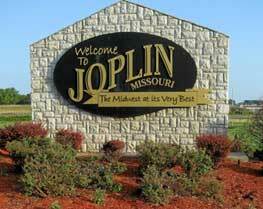 The Corps of Engineers completed construction of both school classroom tornado shelter projects before schools opened in August. 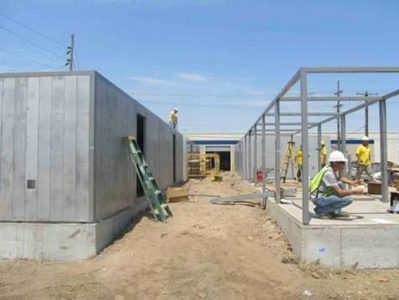 Our ability to provide prefabricated, off-the-shelf tornado shelter components and permit these schools to open with classroom tornado shelters before the school year began provided peace of mind for thousands of students and parents who had experienced such devastation as resulted from the May tornado. 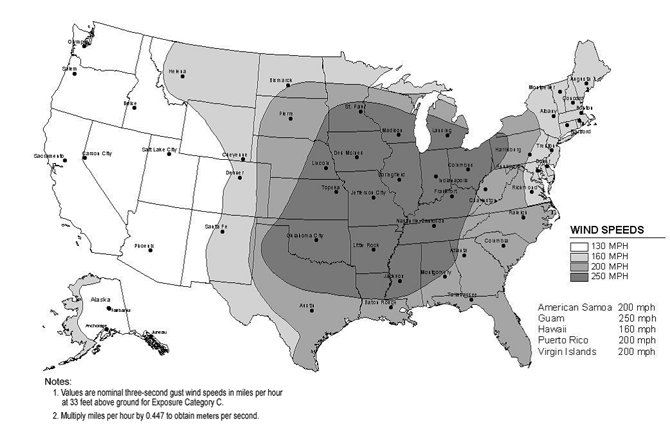 The 2015 edition of the International Building Code (IBC) requires that all new structures intended for educational occupancy which are constructed in the U. S. 250 mph wind zone have tornado safe rooms or shelters capable of sheltering the student occupancy of that addition. 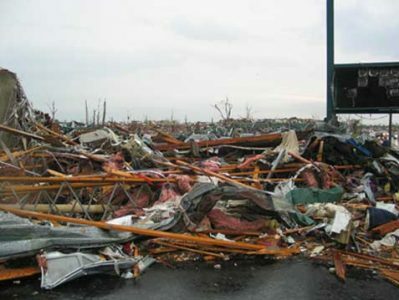 Shelters must meet the design and construction requirements of ICC 500, the ICC/NSSA Standard for the Design and Construction of Storm Shelters, 2014 edition. RemagenSafeRooms is a founding Producer Member of the National Storm Shelter Association (www.NSSA.cc).